Many car problems can be solved without spending too much money or going to a mechanic. Here is a list of common problems that can be set easily. You drive at high speed on the highway when a pebble, thrown from a truck, strikes the windshield full force. That is what makes your day disastrous. Not necessarily. Cracks or splinters are easy to repair. First of all, be sure to prevent dirt, mud or other dirt from entering the crack (or hole), as this may affect repair. To do this, stop the vehicle and cover the damaged part with a tape, leave until the day of repair. Remember to repair your windscreen as soon as possible, as the weather and vibration caused by driving can exacerbate the problem. Then, Go to a car parts retailer and get a repair kit designed for windshields (these kits contain clear resin epoxy). All you have to do is follow the instructions. Stick your finger over the scratch. If the scratch seems shallow, you are lucky, because only the clear coating has been damaged, the paint layer has remained intact. Just go to a car parts retailer and get polishing paste and follow the directions for use. On the other hand, if the scratch is deep, polishing will be useless. The only solution is to paint the scratch to conceal it. Find nail polish (at home, in a pharmacy or department store) of the same color as your car and gently comb the scratch, then let it dry. If you put too much varnish, you can remove excess with a cotton cloth soaked in nail polish remover. Allow to dry and repeat. If the bump is on or near the wheel arch, you can repair it using a hammer, but only after removing the plastic protector under the wheel arch. Before you begin, make sure you have the car’s parking brake applied. Then, with a small screwdriver, remove the four to six screws that hold the guard in place. Depending on the size of the bump, you can dent it with your fingers or a hammer. On the other hand, if the bump is on the plastic protector, no need to remove it. Slip under the vehicle and push the damaged part of the guard with your fingers so that it resumes its original shape. 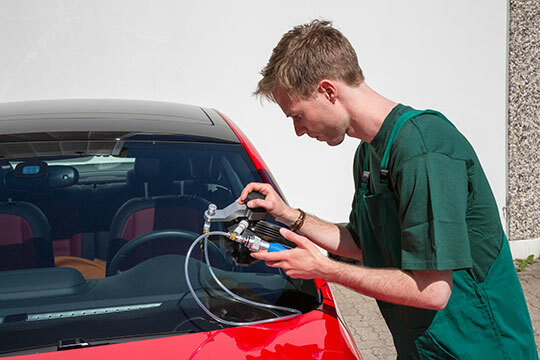 If the bump is on the side of the car , you will have to use the suction to repair it. To do this, you must find an object with a suction cup, such as some automatic pencil sharpeners. You can also find everything you need at an auto parts retailer. Place the suction cup on the bumpy part and pull: if you hear a small “pop”, you have succeeded! The body will have resumed its initial shape. While waiting for the day when waxes can be designed for cars that are easy to remove, there is always the good old WD-40 oil. Spray it on the wax and clean it with a cloth or an old toothbrush. The WD-40 is also effective in removing wax in the slots. You came across a charitable soul to give you a boost, but nothing does, the car does not restart. All is not lost. The good news is that a battery is never completely flat. Check for corrosion around the battery terminals (wire contact point). If this is the case, pour carbonated beverage onto the corrosion to dissolve it. This will allow better contact between cables and battery terminals, therefore, the engine has a better chance of restarting. In addition, carbonated beverages contain electrolytes that promote electrical current. When you get home, clean the battery with a little water to remove any residue from the beverage. The water and soap will not come to the end of the resin glued on the exterior finish of your car. But there is a simple solution. Pour a taste of rubbing alcohol on the resin, rub with the tips of the fingers and the spots will disappear. You do not need to rinse either, because the alcohol will evaporate.